Stacey Abrams would be the perfect running mate for Joe Biden, writes Renée Graham. IF — AND MORE likely, when — former Vice President Joe Biden joins the scrum of Democrats vying for their party’s presidential nomination, he should do more than just declare his candidacy. Stacey Abrams should be introduced, at the same time, as his running mate. There’s no indication that the former Georgia gubernatorial candidate has committed to join Biden’s possible run for the White House. Nor is there any proof that Biden has invited her to do so, though the two recently met for lunch in the nation’s capital, at Biden’s request. But when a likely candidate and an ascendant political star in his party get together, a lunch isn’t just a lunch. That’s reason enough for speculation that Abrams will play a prominent role in helping Democratic hopes to reclaim the White House in 2020, possibly on the ticket itself. Such a move would be audacious; never before has a major-party candidate announced a running mate so early. It could be the kind of game-changing move that exhilarates Democrats hungry for Abrams’s progressive politics and wary of Biden’s messy record on race issues as well as his shabby treatment of Anita Hill during Clarence Thomas’s Supreme Court confirmation. So far, Biden isn’t admitting anything publicly, though published reports say the topic is being hotly debated among his advisers. 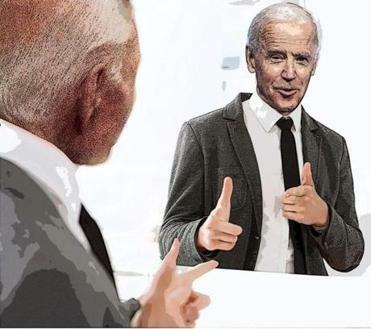 There are concerns that choosing his running mate early could be interpreted as overconfidence since Biden, who hasn’t made an official announcement, is already leading in the polls. Democrats want diverse and progressive representation, not just the same revolving door of old white guys. 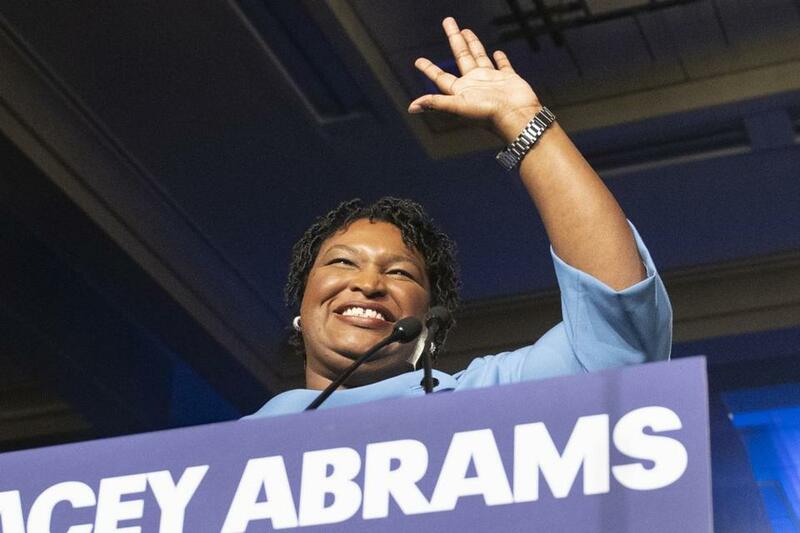 For Democrats, that future has brightened since Abrams narrowly lost her bid last fall to become this nation’s first black woman governor. Wait — let me correct that. Abrams, a former Georgia state legislator, had that race stolen from her. Her opponent, Brian Kemp, employed voter suppression tactics in his capacity as secretary of state, effectively making rules for an election in which he was a candidate. After a recount, Abrams refused to concede. She would not bend to the kind of political chicanery that cheats people out of their constitutional right to vote because they are black, brown, elderly, or poor. Abrams’s recent calendar has included meetings with Senators Elizabeth Warren, Kamala Harris, Cory Booker, and Kirsten Gillibrand — all White House aspirants. They know that her endorsement, in whatever form, will be influential. Rather than projecting inevitability, Biden’s teaming with Abrams would show he’s taking nothing for granted. If he runs, the 76-year-old Biden’s third campaign for president would likely be his last. This go-for-broke moment could be bolstered by Abrams, whose Georgia campaign brought young and diverse voters to the ballot box. It also prepares the passing of the torch to the next generation. Biden already enjoys African-American support due to his eight years in the Obama White House and the genuinely warm relationship between the two men. But there’s a lot of campaigning ahead. With so many candidates, allegiances can shift. If Biden enters the race, he should expect to be grilled on his eager support for the disastrous 1994 crime law that swelled mass incarceration rates for black and brown people. Abrams is also more progressive than Biden (his protestations to the contrary notwithstanding), and I wonder if that won’t lead to clashes should she join the ticket. Biden will have to rise to Abrams’s ideologicial standards; if she tries to adhere to the circumspect Democratic establishment in which Biden is deeply ensconced, she’ll damage her own political brand. It would also be a waste of Abrams’s talents if her role in the campaign becomes little more than shielding Biden from criticism of his support for policies detrimental to the African-American community. Why would Abrams, 45, even consider this? She’s made no secret of her political ambitions, which may include another gubernatorial run in 2022. That would be open to her if Biden loses next year. On the other hand, a Democratic win in the general election would set her up very nicely for her own 2024 presidential bid. In a few weeks, Biden may announce his intentions; bringing Abrams on that stage with him will jolt the race in unexpected ways that could prove beneficial for both of them, and the party. In a nation less old, white, and male, the road to the White House will be decided by women, people of color, and progressives. Abrams certainly doesn’t need Biden. But if he wants to take the next step toward the job he has coveted most of his political life, Biden needs Abrams — now.